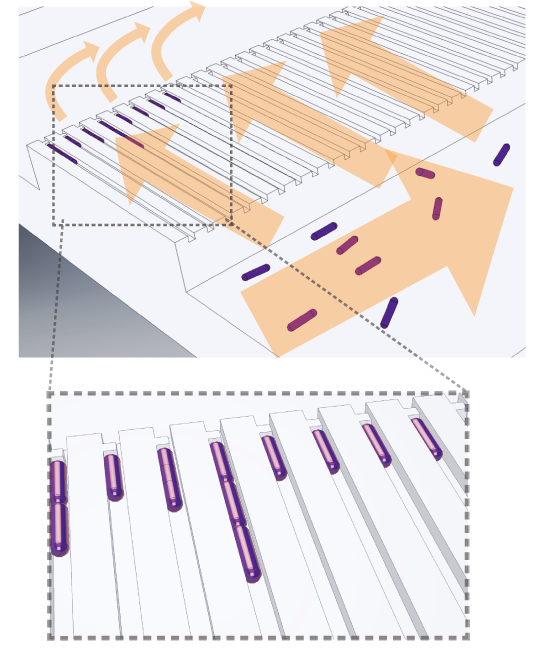 Astrego’s technology for Antibiotic Susceptibility Testing (AST) is founded on microfluidics and image analysis methods developed for pioneering microbial research in the Elf Lab at Uppsala University, as described in Baltekin et al, PNAS 2017 (Antibiotic susceptibility testing in less than 30 min using direct single-cell imaging). 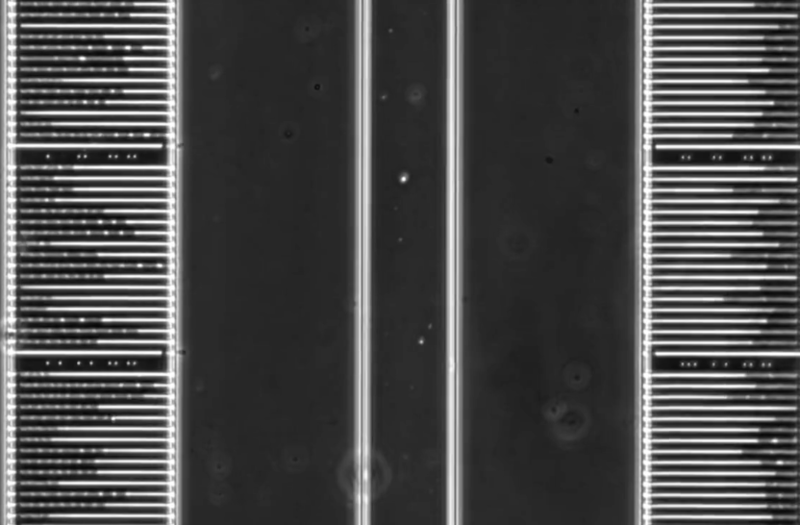 The sample is loaded on the microfluidic chip. Bacteria present in the sample are caught in the bacteria-sized traps. Trapping of bacteria is monitored and the loading time gives an estimate of the bacterial density in the sample. A fraction of the trapped bacteria are exposed to a candidate antibiotic. 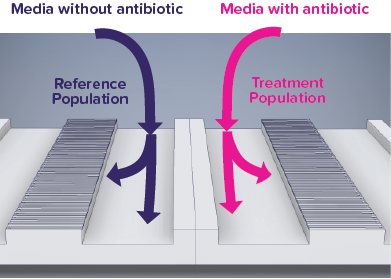 Bacterial growth is monitored in each trap, both with and without candidate antibiotic. The average growth rates, with and without candidate antibiotic, are calculated in real time. The bacteria are considered susceptible if its growth is duly inhibited. A highly requested and currently unavailable diagnostic tool for evidence based management of infections. Improved monitoring of local, regional or global antibiotic resistance. 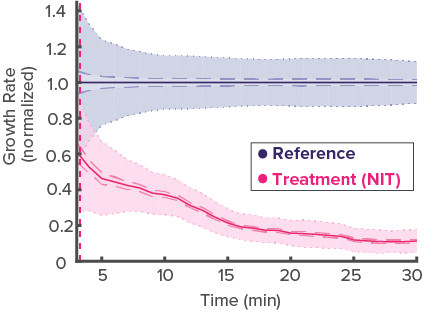 Extend life-time of primary antibiotics beyond 20% resistance. Efficient tool for product development and clinical evaluation of new antibiotics. Always correct diagnosis and immediate prescription of optimal antibiotic. Reduced discomfort and less side effects from use of broad spectrum antibiotics. Reduced risk of severe complications due to untreated infections. Accurate diagnosis of bacterial infection avoids misuse of antibiotics. Reduces risk for antibiotic resistance development.